The last posts on Knäckebröd were posted on my blog in 2012. Since that time, my demonstrations have been augmented by more research, improved tools and more practice. 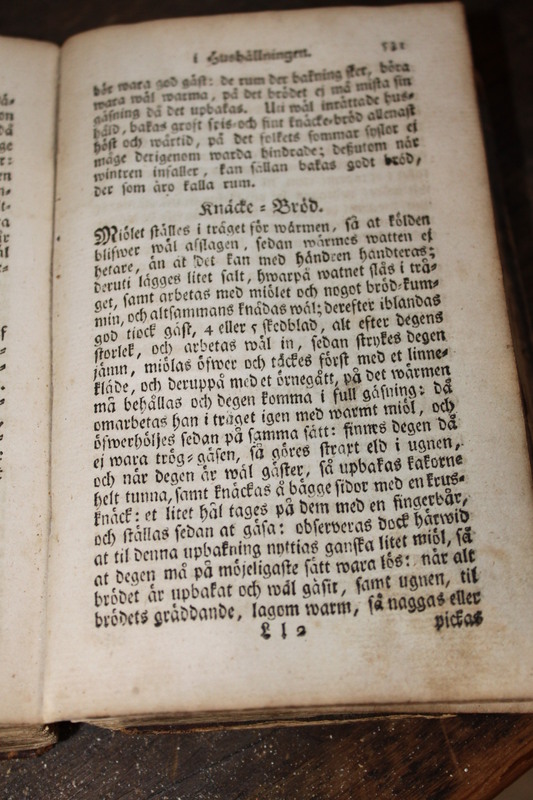 The best research find was a receipt (recipe) for Knäckebröd in an original 18th century book written in the old Swedish.